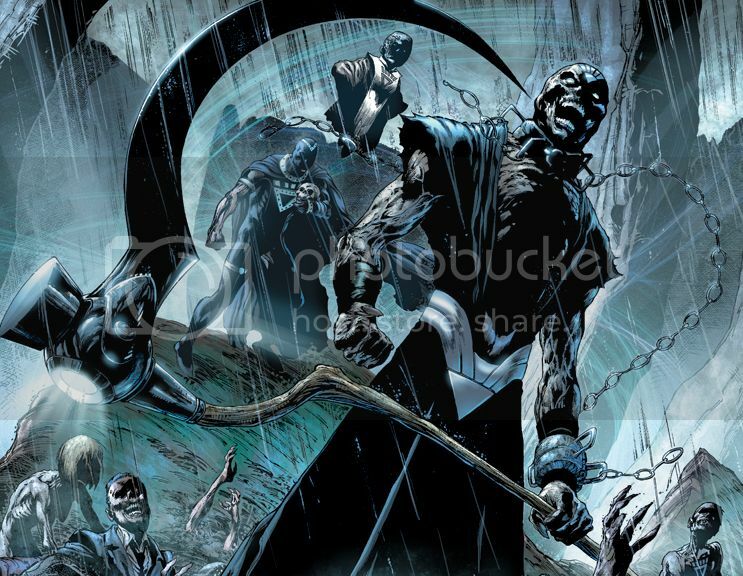 November heralds the final battles in the War of Light, with Nekron lurking above Ryut and Zamaron, preparing a final swipe from his scythe. FORMAT: 600 point Sealed, utilizing one War of Light (Wave 2) booster and either a booster of the player's choice from available stock, or 4 Heroclix singles chosen from available stock. SPECIAL: The only resource allowed is the Green Lantern resource and the only relics allowed to be used are constructs from previous month's War of Light events or constructs pulled in this night's sealed booster. - Sign up priority is given based on entry fee payment, rather than word of mouth, Facebook notification, or sign up on the Heroclix event site. Pre-payment before the game date is available at Merlyn's. - 3 Nekron colossal figures will be awarded. One will go to the first place winner for the night. One will go to the player with the most participation points in Merlyn's War of Light events. One will go to a randomly-determined player. No one will receive two. - 6 Star Sapphire LE figures will be awarded. 1st place, 2nd place, and 3rd place will receive figures. The other 3 will be distributed randomly among other players. - Green Lantern (Simon Baz) and the Boxing Glove Construct 3D special object will both be distributed as participation prizes to all players.